It is a spectacle of nature, reaches the 11 hectares of forest and lasts between 10 and 15 days: the “Florecimiento de los Guayacanes”, a natural spectacle that can be enjoyed in Colimes, a canton of the province of Guayas, located 90 kilometers from the city of Guayaquil. 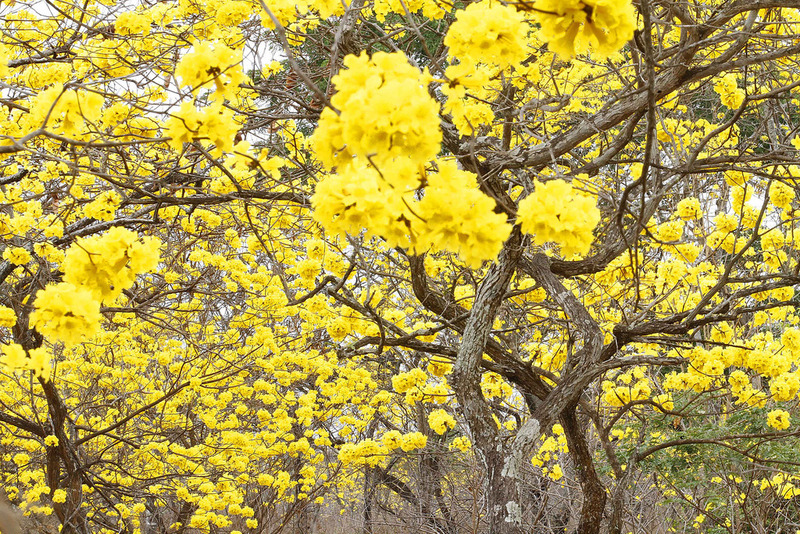 The Las Habras hacienda is the specific spot where domestic and foreign tourists can observe the yellow flowers of this ancient tree, which appear after the first rains. It is located on the left side of the road to Olmedo, has an exclusive walking path. The tour can take an hour and visitors can do complementary activities such as bird watching, horse riding, visiting the museum of traditional objects of the countryside and cycling through the forest. Along the mentioned path, rest stations were adapted, as well as a health center, Community Police Unit and spaces for the sale of handicrafts.